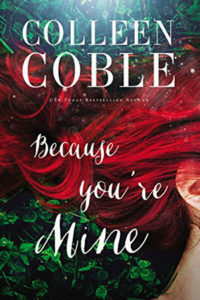 If you’re a fan of romantic suspense author, Colleen Coble, she has a new book, Because You’re Mine releasing January 10, 2017. And if you’re a fan of the Irish music group Celtic Woman, you’ll also be a fan of this upcoming release. To read more about how this novel was inspired by the all-woman music group, click here.